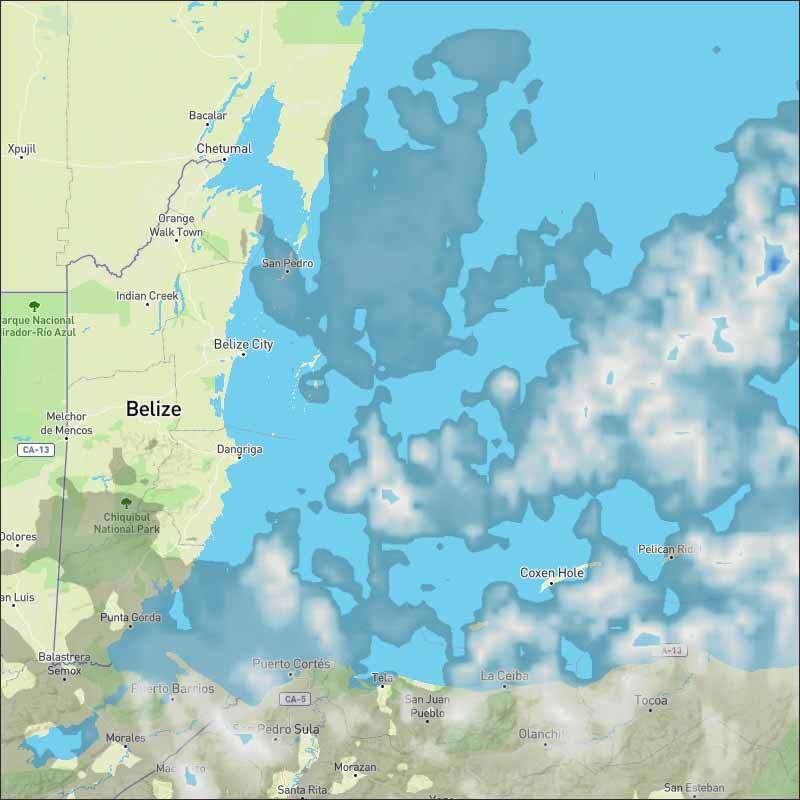 Belize NMS: Mainly fair, cool and dry conditions will continue during the next 24 to 36 hours. 24-hour forecast: Mostly sunny skies today and partly cloudy to clear skies tonight. Little or no rainfall is expected. General Outlook: Some cloudy spells with isolated showers or periods of light rain mostly along southern coastal areas during Sunday, then a few showers and isolated thunderstorms over southern and along some coastal areas Sunday night. Tonight N-NW 5-15 kts Choppy-Rough 3-7 ft LITTLE OR NO RAINFALL. Tomorrow N-NE 5-15 kts Choppy-Moderate 3-6 ft LITTLE OR NO RAINFALL. Tomorrow Night NE 5-15 kts Choppy-Moderate 3-6 ft CHANCE OF LIGHT RAIN OR ISOLATED SHOWERS OVER THE SOUTH. Outlook NE 10-20 kts Moderate 4-6 ft CHANCE OF LIGHT RAIN OR ISOLATED SHOWERS IN THE SOUTH. 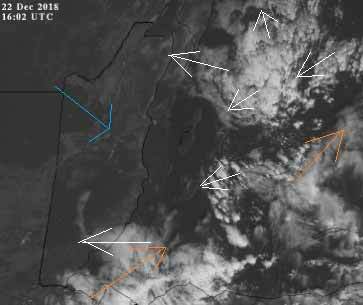 A frontal system extends from the western Atlantic into eastern Cuba and enters the west Caribbean as a stationary front from 20N76W to 10N83W. Scattered showers are noted along the front. Fair weather prevails elsewhere. 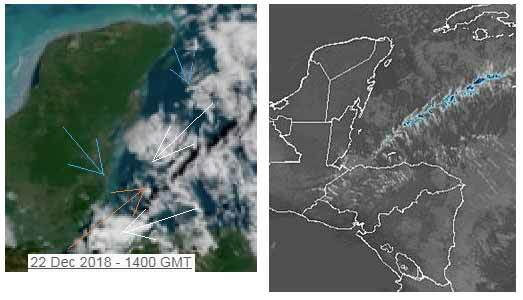 Strong to near gale-force trades will continue across the south- central Caribbean through next week, increasing to gale-force along the northwest coast of Colombia during the overnight hours beginning on Saturday night. 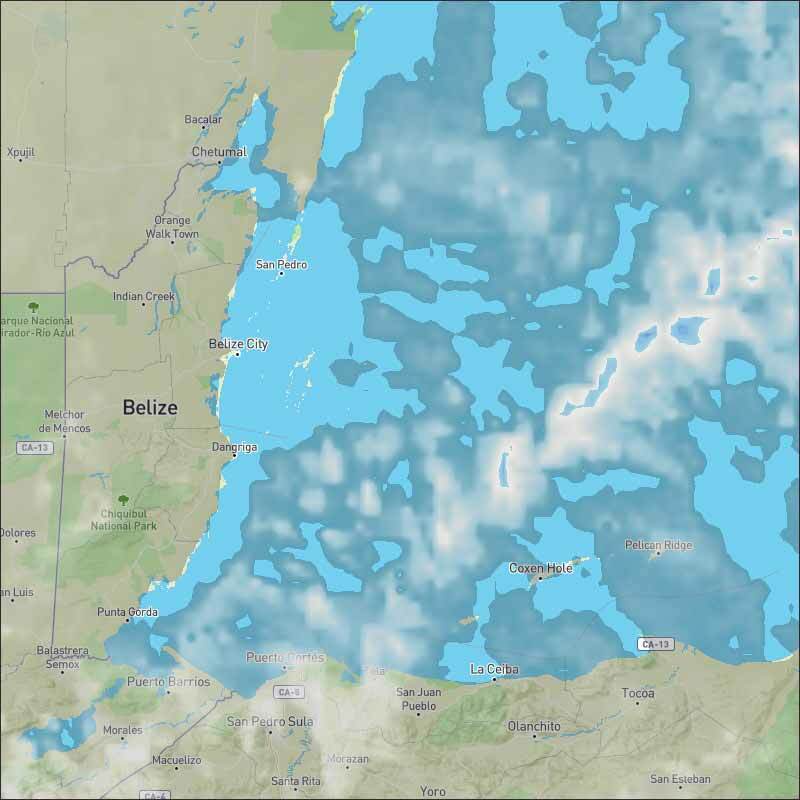 The cold front over the west Caribbean will stall from the Windward Passage to Costa Rica on Saturday and gradually dissipate through Sunday. Strong northerly winds will prevail west of the front, increasing to near-gale along the coast of Nicaragua. Last night's Cold Moon marked the start of Winter. 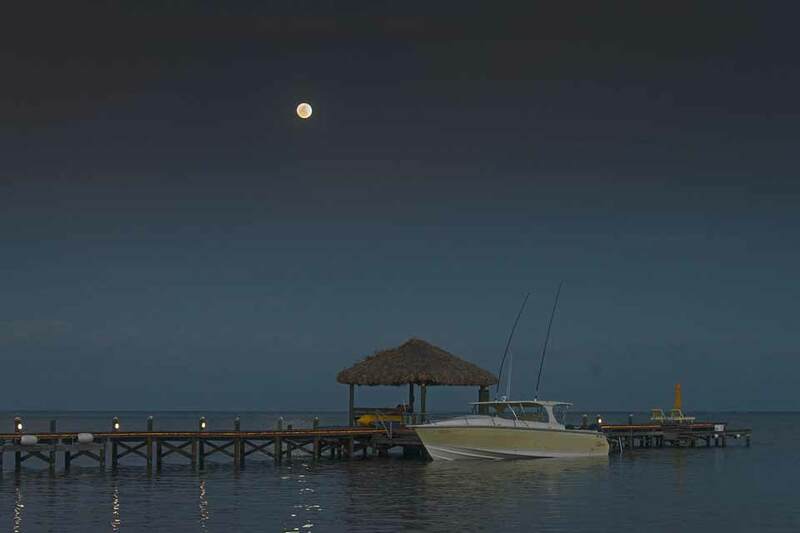 On Ambergris Caye this morning we have a flat calm sea, clear sky and a breeze from the North. The expected high tempature for the day is in the low 80's. Last night was the coldest night I have ever recorded since 2003, however I did not feel all that cold last night, I therefore expect it was for only a short period of time, but all three of my thermometers did record very low temperatures. Did anyone else record last nights minimum temperature. ? Basically last night had very clear skies, no cloud cover, but there appears to be a sting in that tail of cloud I showed yesterday, where the Caribbean winds and cloud are starting to fight back, causing that line of heavy, high cloud out at sea, and other lower clouds forming below it, some of which are already crossing into parts of north and southern Belize, although there is no rain with it. Looks as if most of us will have clear sunny skies, but some are starting to get significant cloud cover, which will spread to more parts this morning, but probably thinning as the day gets warmer, then lines of clouds with sunny areas, will probably develop this afternoon over much of the country, no rain expected though.